Live up north in the Traverse City area. Just found this place from the Bullet. Been a Mopar guy for many years. My first rig was a 40 Ford coupe with a 392 Hemi with 8-97s on alki , A-745, Pontiac rear end. Built this, with help of the local hotrod club. I was 14 when we finished it. I raced it for the first time in summer of 1961, at a 1/5 mile strip called Kettlersville, in Ohio. Have had many Mopar powered rigs, since. One of my favorite was a yellow 57 Chevy that had a 440, 833, 489 out of a wrecked Road Runner. It also ran on alki. I ran it from 1971 thru 1977 at OCIR, Lyons. Cool thing is, I flat towed it behind a 69 yellow VW. 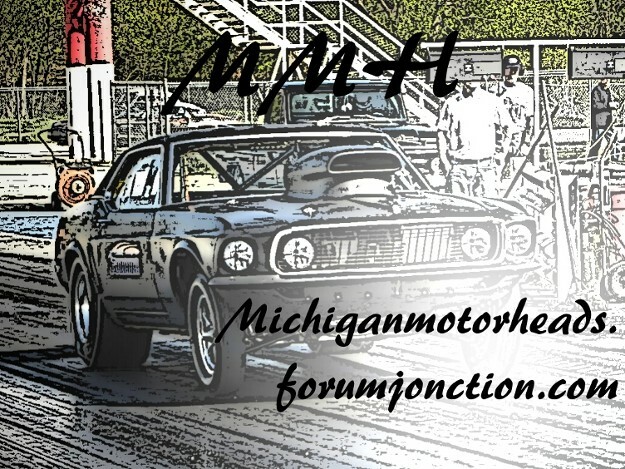 I caught hell for the Mopar guys and the Chevy bunch. Welcome! Its great to get into cars young, that's the best feeling knowing that your first car was all personally restored and customized to your liking. Not only that but it gives you a sense of pride and a better outlook on life. Have you ever been down in the Baldwin, Scottsdale, Wahala area? I have a cottage in Wahala, thee are some nice places up there. Q's classics, and that place on Benson road with the cars always out front. Then there are the mud boggs they have sometimes, watching the Badger leave to Wisconsin, the sand drags and he Silver Lake Dunes. There is a lot to offer up there, I love going up there and have thought about moving up there.